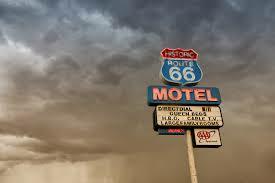 I am currently researching and writing a novella set in Texas on the old Route 66. I have found the history of the highway fascinating and when I realized 2016 is the 90th anniversary of the highway, I decided to share some of what I have learned. 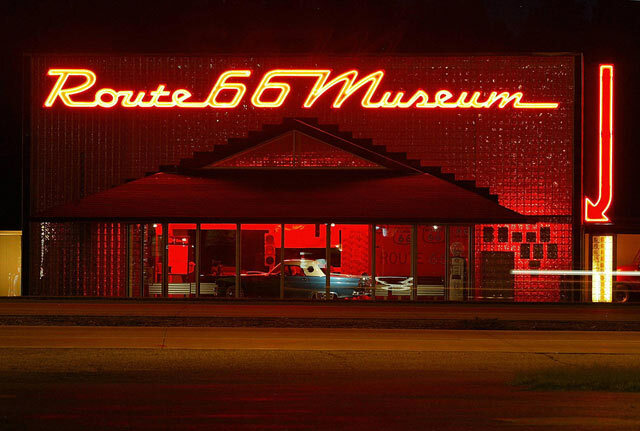 Proclaimed the "Mother Road" after Steinbeck's Grapes of Wrath called it such, Route 66 is the source of legends, romance, and nostalgia. Two men, Cyrus Avery of Tulsa, Oklahoma and John Woodruff of Springfield, Missouri deserve most of the credit for the highway link between Chicago and Los Angeles, it wasn’t until their dreams merged with a national program of highway development that their efforts came to fruition. In 1916, the first legislation for public roads first appeared, but even after revisions in 1921, it wasn’t until 1925 that plans were actually executed. 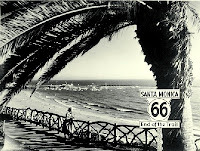 In 1926, Route 66 was officially named as the Chicago to Los Angeles route. From the beginning, planners intended to connect the main streets of rural and urban communities along the way for practical reasons and give them access to a major national thoroughfare. California, it ran across Nevada, Arizona and New Mexico before cross the plains of Texas, Oklahoma, Kansas, Missouri, and Illinois. This enabled farmers to transport grain and produce by way of trucking which had come to rival the railroad by 1930. From 1933 to 1938, the highway commission employed thousands of male youths from virtually every state to pave the final stretches of the road. 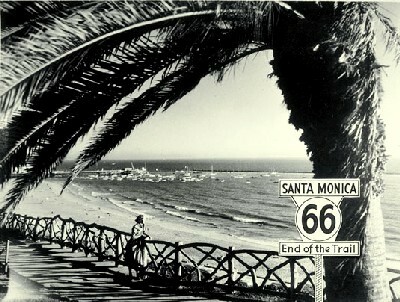 Because of this monumental effort, the Chicago-to-Los Angeles highway was designated as “continually paved” in 1938. The highway played an important role during WW II as the route facilitated the relocation of troops across the Midwest. During that time, Bobby Troup, a former pianist with Tommy Dorsey, wrote a lyrical road map that gave us the familiar phrase, “get your kicks on Route 66.” Nat King Cole released his recording of the song in 1946.
and even car repair. The tourism generated by a Post-War travel society, ensured success for the tourist courts, diners, and garages springing up across the land. As the travelers shunned hotels in larger towns, the motor courts or motels began to thrive. They offered amenities such as adjoining restaurants, souvenir shops and swimming pools. Ironically, the same need for mobility and improved highways that gave Route 66 its popularity also signaled its demise and by 1970, nearly all segments of the highway were by by-passed by a four-lane interstate highway. Because of lack of interest and poor maintenance, the final section of the original road was by-passed by Interstate 40 at Williams, Arizona in 1984. Many of us are familiar with the old TV show starring Martin Milner and George Maharias. That show brought Americans back to the route looking for new adventures. Segments of the highway can still be found along the route and that’s what I went looking for and found the route through the Panhandle of Texas that will give my heroine a great new adventure in her life. Thanks for dropping by Sharon. I've only been on the New Mexico-Texas portion of the highway. 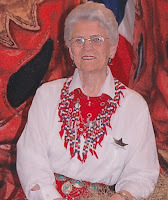 My sister and I drove from Colorado down to New Mexico and across Texas through Amarillo. Lots of fascinating places along the way when you know where to look. 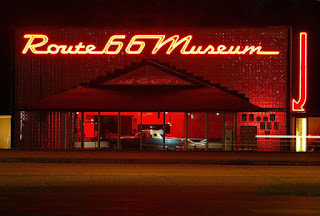 Thank you for sharing about Route 66, very interesting! As a native Oklahoman, I'm very familiar with Rt. 66. In Tulsa, we have new metal statue called Rt. 66 - East meets West. It features a two-horse buckboard with the horses rearing up and a Model A type car driving in front of the horses. It's right on old Rt. 66. Very cool. As you travel I-55 from Chicago to St. Louis, it runs parallel to the old Rt. 66 through much of the way. It's still there and if you have a lot of time to spare you can make the trip on the old road. It will take twice the time, but you'll go through all the little towns, past the soybean and corn fields. I'm glad the old road is still there, but I know to most people anymore it means nothing as they whiz past on the four-lane highway.